Published: June 10, 2014 at 08:54 a.m. Updated: July 14, 2014 at 11:50 a.m.
Around The League will profile the top 25 players we see Making the Leap in 2014. Cordarrelle Patterson is just the electric wideout and complement to A.P. the Minnesota Vikings envisioned. Can he realize his prediction of becoming a top-five playmaker in his second year? Kenny Vaccaro exceeded expectations in helping to hold the Saints' secondary together in his rookie season. Can he become one of the league's top safeties in just his second season? 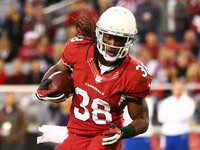 Andre Ellington teased us with his big-play ability as a rookie. Now the keys to the Arizona Cardinals' backfield are in his hands, and the dynamic runner is poised to leave tire tracks all over the field. Le'Veon Bell worked his way into a key role in the Pittsburgh Steelers' offense. A new season brings new promise for the running back, who should make the leap to Pro Bowl production in Year 2. 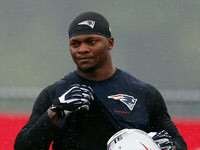 Jamie Collins is one of the most athletic players on the Patriots. The 3-4 linebacker always seemed to pop up on tape last season, and we expect him to "make the leap" in 2014. 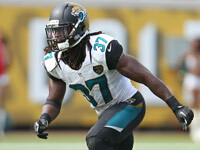 Lacking star power on defense, the Jacksonville Jaguars desperately need safety Johnathan Cyprien to "make the leap" in 2014. Chris Wesseling analyzes his chances of pulling off that feat. 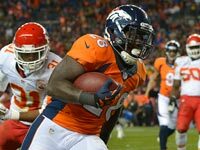 The Denver Broncos installed Montee Ball as their starting running back for the 2014 season. The Around The League team believes the second-year player will seize the opportunity and ... run with it. 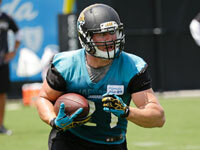 The Jaguars have talked up Toby Gerhart all offseason as Maurice Jones-Drew's heir apparent and Jacksonville's bell-cow come September. Will he live up to expectations? There aren't many humans like Ladarius Green. 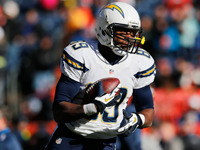 The young San Diego Chargers tight end is a 240-pound pure vertical threat, but is he ready to take over for veteran Antonio Gates? 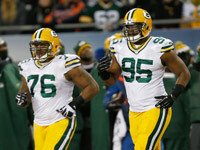 Packers defensive ends Datone Jones and Mike Daniels are poised to make the leap in 2014. Will Green Bay's defense be the most improved unit in the NFL? Chris Wesseling explores. 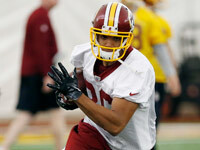 Redskins tight end Jordan Reed set franchise records in his rookie year. 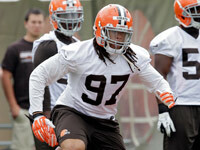 Can the former third-round pick make the leap to a Pro Bowl star in his second season? Dan Hanzus weighs in. Unlike the other candidates on the Making the Leap countdown, Everson Griffen just signed a monster deal. 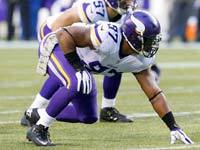 Kevin Patra tells you why the Minnesota Vikings are so high on the young defensive end. 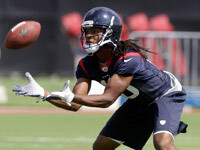 DeAndre Hopkins of the Texans finished second among rookie wide receivers in a roller-coaster 2013 season. Chris Wesseling examines his breakout potential in Bill O'Brien's offense. 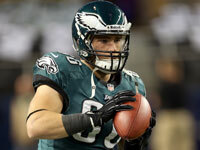 Dipped into the NFL's most creative offense, Philadelphia tight end Zach Ertz showed the type of growth down the stretch to suggest a leap in Year 2. The Atlanta Falcons' defensive backfield was porous in 2013, but there's hope on the horizon. 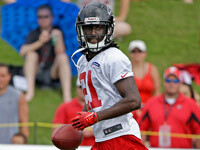 Second-year cornerback Desmond Trufant is primed for a breakout year. Marvin Jones posted good stats in 2013. 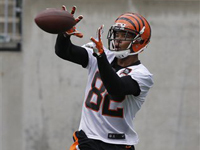 With more snaps coming his way in 2014, the acrobatic Cincinnati Bengals wideout is just too good to miss out on a stellar season. 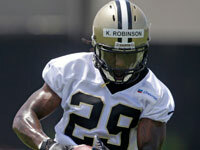 New Orleans Saints running back Khiry Robinson was famously compared to Hall of Famer Curtis Martin during last season's playoffs. Can we expect a breakout year in 2014? The Pittsburgh Steelers could use another playmaker to go with Antonio Brown. 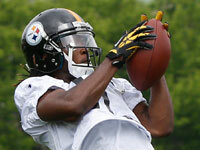 Markus Wheaton has all the tools to be that guy. 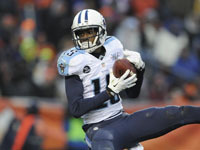 Can the Titans' Justin Hunter take the next step to become an elite wide receiver? 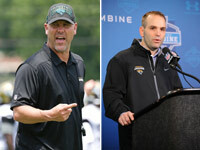 Gregg Rosenthal and Chris Wesseling discuss his chances. Ziggy Ansah has the talent to wreak havoc along the defensive line, but can he put it together to become a difference-making pass rusher? 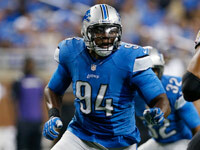 Kevin Patra profiles the second-year Detroit Lion. 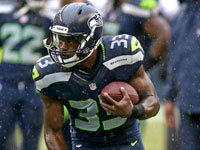 Can the Seahawks' second-year running back turn his freakish potential into production in 2014? 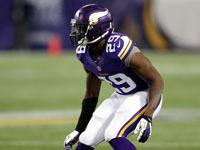 Xavier Rhodes ended his rookie season as the best player on a beleaguered Vikings secondary. Can the second-year cornerback develop into a Pro Bowl player? 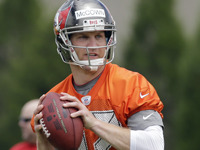 Around The League kicks off its 2014 "Making the Leap" series with a look at Tampa Bay Buccaneers quarterback Josh McCown. Can a 35-year-old quarterback have a breakout season?